My dear Grandma passed away few weeks ago and we will be having her funeral this Saturday. I made a tag to be attached to the funeral flowers (well, as you can see I made two tags and my Mum will choose which one she prefers). The tag will be laminated at the funeral home and they will also attach it to the funeral flowers. 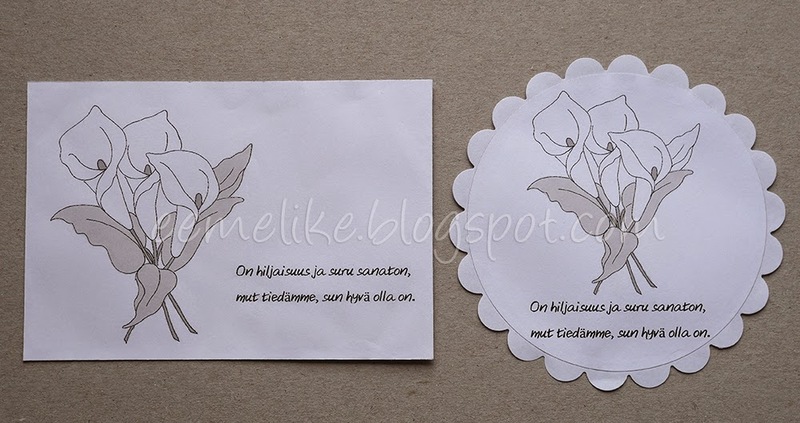 In front is a simple poem and on the back side "In loving memory of Mum and Grandma". Flower digi stamp is from Anne Fenton and for coloring I used ProMarkers (Cool Grey 1 and 3). Rectangle one is cut with a ruler and a knife, and the right one with Spellbinders dies. 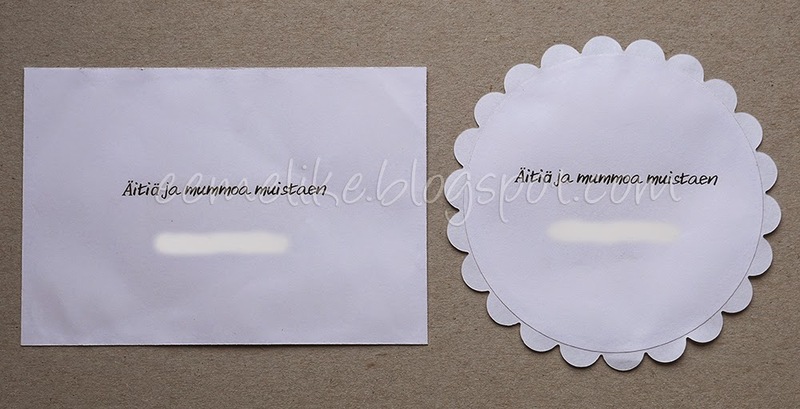 Rakas mummoni nukkui pois muutama viikko sitten ja lauantaina hänet siunataan haudan lepoon. Tein hautajaiskukkiin liitettäväksi tagin (tai kuten kuvasta näkyy, niin kaksi tagia, joista äitini saa valita mieluisan). Tagi saa yllensä vielä laminoinnin hautajaistoimistossa, jossa se myös kiinnitetään kukkalaitteeseen. Kukkadigileima on Anne Fentonin ja vähäiset väritykset siihen promarkereilla (Cool Grey 1 ja 3). Suorakaidetagin leikkasin viivottimen ja askarteluveitsen avulla, ja oikeanpuolimmaisen Spellbindersin stansseilla. Gorgeous!! Beautiful flowers!! Love them!! !Thanks so much for playing along with us at Delicious Doodles!!! Good Luck! I hope we see you again!! What a lovely tribute to your grandma! Thank you for sharing it with us at DRS Designs. Thanks for sharing your lovely tags with us at The Crafting Cafe in our Shades Of One challenge!